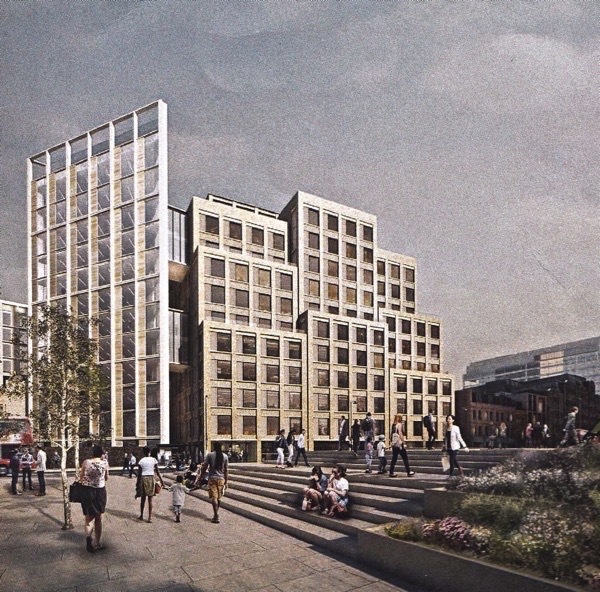 Incredibly, both these visualisations show the same view – eloquently illustrating the polarity of competing visions in the contest for the future of Norton Folgate. 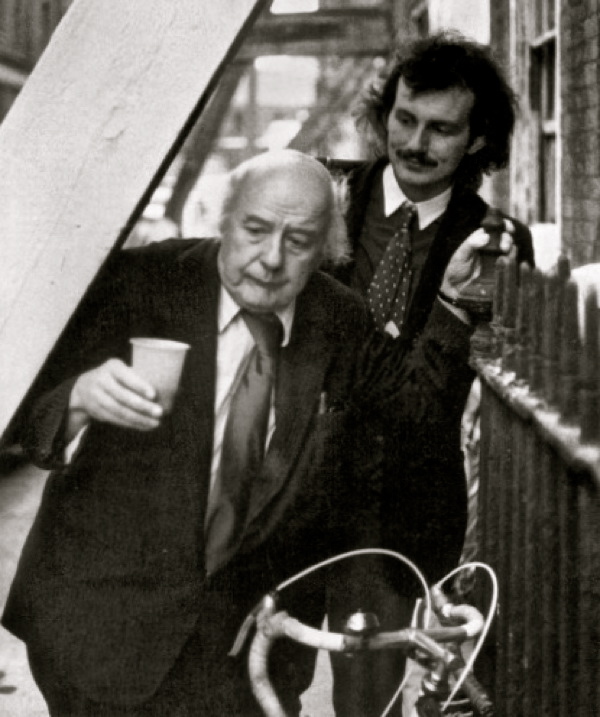 Forty years ago, the Spitalfields Trust – with the help of Sir John Betjeman – defeated British Land in their attempt to demolish the historic streets in this northern corner of Spitalfields but now, like an unwelcome remake of an old movie, British Land are back with a larger and meaner development scheme which entails destroying more than seventy per cent of the fabric of their site which sits within a Conservation Area. Back in 1977, the conflict was resolved by Tower Hamlets Council, who supported the Spitalfields Trust, but in this new century local democracy no longer holds sway and the Mayor of London is able to intervene in favour of the developers. His hearing takes place tomorrow and, after a dozen such ‘call-ins’ in which he has overturned the decision of the local council in every case, the outcome appears predetermined. Yet there is a new character in the drama and his name is Troels Holch Povlson, a Danish Billionaire Conservationist. 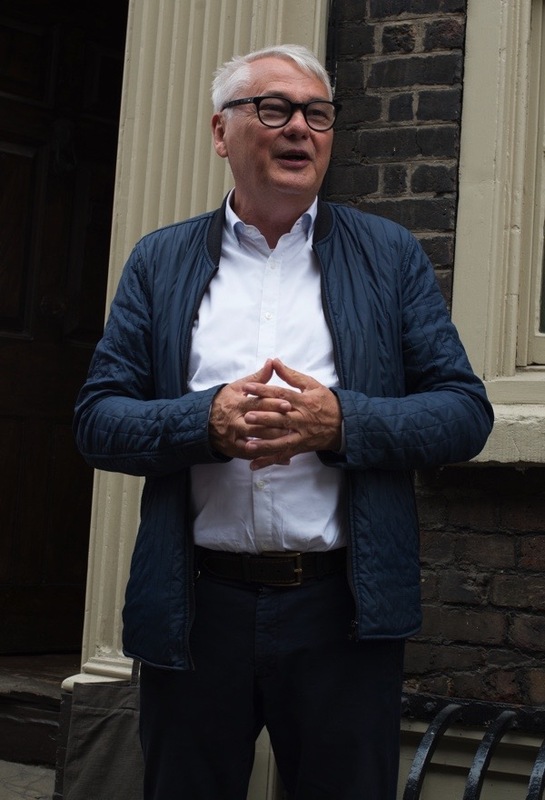 He is offering to buy the site off the City of London, matching and – if necessary exceeding – what they paid for it plus what they stand to profit from it, in order that British Land’s development be abandoned and the Spitalfields Trust scheme go ahead. 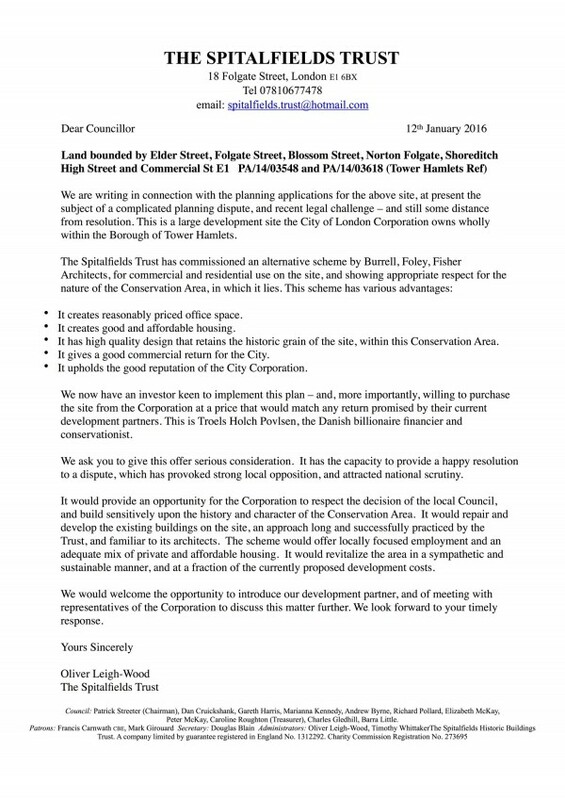 While the British Land development is about achieving the maximum financial return by packing the largest volume of corporate office space onto the site and obliterating Norton Folgate in the process, Troels Holch Povlson recognises a different value in Norton Folgate that consists in repairing the historic buildings and retaining a diversity of use. Conventional economics might suggest that British Land must prevail but now Troels Holch Povlson’s offer is on the table, a different outcome proposes itself which delivers the required economic return and saves Norton Folgate too. This is the most wonderful and generous solution. Let’s hope no reason to decline is discovered. All the very best. Wow! I’m really excited but totally blown away by one persons generosity. After reading your blogs GA about this for some time and realising there will be no historical part of London left if the powers that be would have their way….and along comes a saviour! Keeping everything crossed this time! Is there not a suggestion that BoJo has acted either illegally or ultra vires in calling in the proposal for Norton Folgate before he was officially informed? Bit of a give-away, that, if true, & hopefully could be highly embarrassing. Did I hear that someone has asked for a “JR” on this? Bless you, Troels… such a generous and thoughtful man! A quaker saying that holds much sway for me is “.. that which is morally wrong, cannot be politically right”. My prayers and thoughts are with you all. This is excellent news. Made my day! A wonderful development and one which deserves success. Putting the residents and the heritage first is surely the best way to proceed. It is a shame though that there are no UK philanthropists who have stepped up to the mark and it is left to the generosity, vision and determination of someone not of these shores to preserve an invaluable part of the history of our capital city. If the billionaire offer exceeds expected existing gain, the local authority may be legally obliged to accept it under ‘best value’ obligation to the public purse. 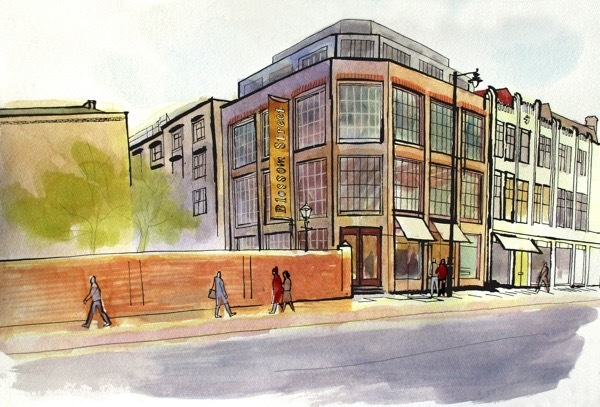 Of the two renderings, I would choose the Spitalfields Trust concept. Still, I hate to see anything of historic or nostalgic value utterly devalued, marginalized, or God forbid, razed. Let us hope that this will be the end of Boris. I found this in “Lines to a friend visiting America” written in 1867 by George Meredith. Just about sums up Boris and his friends to me. What excellent news! It must be arguable that to go with British Land’s scheme instead would be perverse. If this offer is turned down out-of-hand it is confirmation of the politically motivated agenda that Johnson & co espouse. Troels is calling their bluff. Don’t hold your breath. Can Danish citizens be given knighthoods? Perhaps an honorary one – another dream! What an amazing offer from this man. It is wonderful to hear that there are still some wealthy people about with such a benevolent nature. I do so hope that Norton Fogate can be saved from the clutches of greedy capitalism. Thank you,Spitalfields Trust and Mr Povlson. Let’s hope City Hall and all within it come to their senses. It is all ways a pleasure and an education to visit this site. WoW WHAT AWONDERFUL MAN – Oh yes Please Mr Povloson – My fingers are crossed. I am emailing from California, Berkley to be precise. We have been forced out of our homes by the same type of land developers. Your article of the loss of small business, the community, the environmental empact- in terms of human well being- is spot on. Over development is a deplorable pernicious blight to our lovely neighborhoods. But worse than anything is the loss of our homes. I would like to still see an old fashioned view in the city I’m a bit sick of the new blocks everywhere , how can a minority (greedy barstards) have so much power over the majority they are doing more damage than the ww2 bombings .